Mini Carbon. With a fresh design and a clearly thinner case, Lenovo is trying to make its traditional 12-inch ThinkPad X Series more attractive. In this review we will be explaining why this approach works well, and what features we miss despite the other improvements. The Lenovo ThinkPad X280 didn't run away from the pack in any particular benchmark, but it remained competitive with similarly equipped systems throughout our battery of tests. It's not always about killer benchmarks scores, however. With machines in this class, that perform similarly, there's much more to consider -- like the user experience and design functionality, for example. The X280 sheds the boxy nature of the X270, adding a webcam cover, better fingerprint placement and security, better hardware, excellent battery performance, and a more modern port array. If you’re in the market for a business laptop, the ThinkPad X280 is certainly a model worth considering. 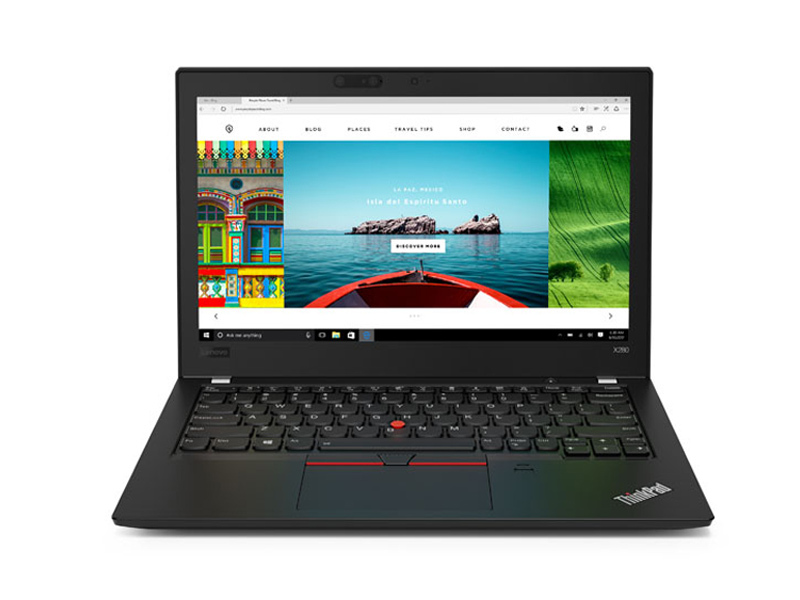 Available now from Lenovo starting at $884 USD. 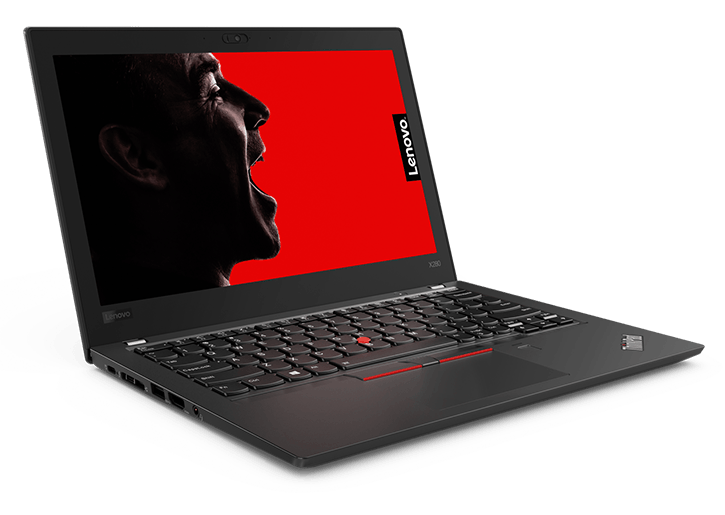 Even though Lenovo has made the ThinkPad X280 lighter and thinner, performance hasn’t been sacrificed. While battery life could be a bit better, the ThinkPad X280 is a more than capable business-oriented laptop for working on the go. The X280 is the evolution of the ThinkPad line. While there are much cheaper ThinkPad options that your employer may opt for to purchase in bulk, the X280 serves up the gold standard of functionality versus price. 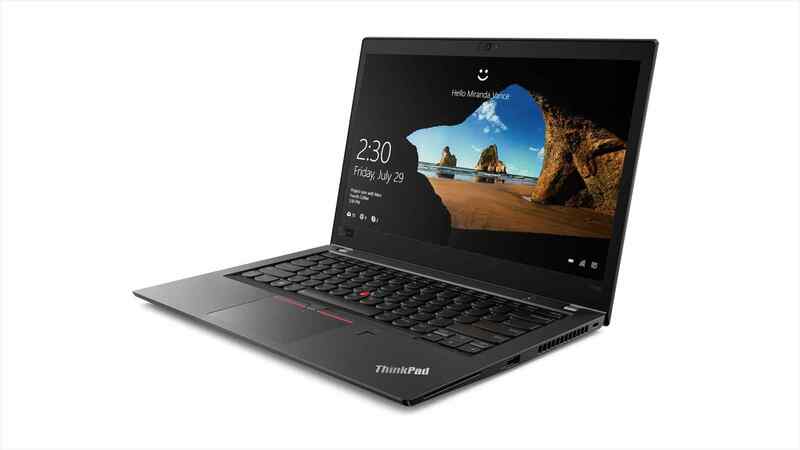 Cheaper ThinkPads come with several shortcomings and more expensive versions are less practical for the everyday use of anyone in a position lower than an executive. When comparing the X280 to the rest of the competition outside of Lenovo, it fairs better than most in its category based solely on I/O. As the shedding of ports becomes the norm, the X280 stands tall with a bevy of options while still managing to slim its overall footprint and offering a subtle refinement on its overall design. 8250U: Kaby-Lake-Refresh based low power quad-core processor. The four cores are clocked between 1.6 and 3.4 GHz (Turbo Boost) and support HyperThreading. The integrated GPU is clocked between 300 and 1,100 MHz. The SoC is manufactured in a 14nm+ FinFET process. 8350U: Kaby-Lake-Refresh based low power quad-core processor. The four cores are clocked between 1.7 and 3.6 GHz (Turbo Boost) and support HyperThreading. The integrated GPU is clocked between 300 and 1,100 MHz. The SoC is manufactured in a 14nm+ FinFET process. Intel Core i7: The Intel Core i7 for laptops is based on the LG1156 Core i5/i7 CPU for desktops. The base clock speed of the CPUs is relatively low, but because of a huge Turbo mode, the cores can dynamically overclock to up to 3.2 GHz (920XM). Therefore, the CPU can be as fast as high clocked dual-core CPUs (using single threaded applications) but still offer the advantage of 4 cores. Because of the large TDP of 45 W / 55 W, the CPU is only intended for large laptops. 79.36%: This rating is not convincing. The laptop is evaluated below average, this is not really a recommendation for purchase.» Further information can be found in our Notebook Purchase Guide.